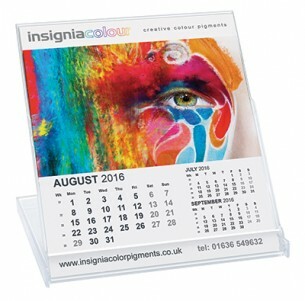 This smart little branded calendar comes in the shape of a CD case and opens up to reveal your branding as well as an entire month of dates. It's a small, attractive and useful item that will be ideal for any branded giveaway. This item comes packed in a mail-safe carton, making it an ideal option if you are planning to mail it to your customers. Your branding is printed clearly on each page using litho or digital printing. Print area 108 x 10mm.